“I’ll tell ya what, maybe it’s because I just watched that movie ‘Battle of the Sexes’… I was thinki’ today, what do you do with CM Punk? There’s not a man on the roster that does not walk through him in under a minute. So what do you do with him? You’re obviously gonna give him another fight… Is he a ratings draw…? I don’t think so. There was that mystery like, ‘god, how would he do?’ then we were like, ‘oh my god that was awful’. It was so bad you don’t want to see him fight again. Maybe put him on a Fox…what about a [Cris] Cyborg? What if you do a battle of the sexes? 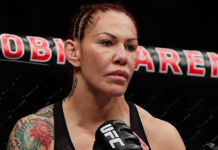 What about this whole ‘MeToo’ movement and you put one for the ladies and let Cyborg knock his f*ckin’ head off. She would knock his f*cking head off. What about that? Why not do it? 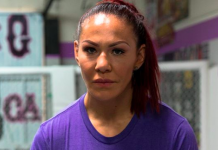 I mean, you’re having a tough enough time, you’re making these super fights… And you wanna…kind of jump on this whole bandwagon of this ‘MeToo’ movement and ‘we care about women’ stuff like that, let Cyborg fight CM Punk. See how that goes for him. Even Amanda Nunes, even a Rose [Namajunas]… Even a [Joanna] Jedrzejcyk would put it on him. Do the battle of the sexes thing. The CM Punk experiment didn’t quite work out at UFC 203. Or did it…? I mean…it’s still hard to determine exactly what the UFC wanted from the whole thing other than obviously the freakshow element and potential PPV boost(which didn’t work out regardless). Phil “CM Punk” Brooks’ first and only career MMA fight was against the talented prospect Mickey Gall who Punk lost to in the first round by way of submission. It’s been made quite clear that he will more likely than not be getting a second shot in the UFC. 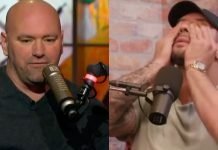 It probably won’t be against any of the current female champions…but Brendan Schaub brings up some interesting points. If you’re going to do anything else with him, what’s it going to be? 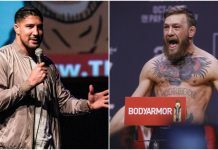 This article first appeared on BJPenn.com on 2/2/2018.